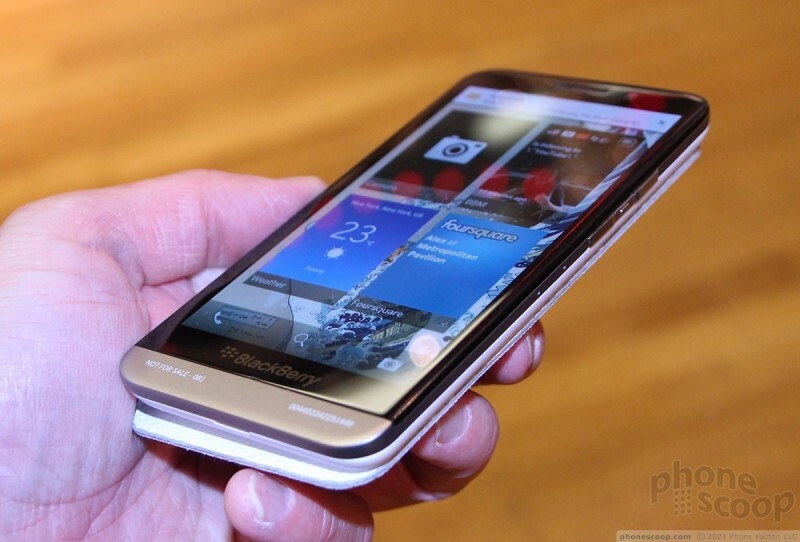 BlackBerry let us spend a few moments with the new Z30, its 5-inch phablet looking to take on today's super phones. Here are our initial impressions. BlackBerry had a preproduction version of the new Z30 on hand this evening and we were able to spend a few moments with it. 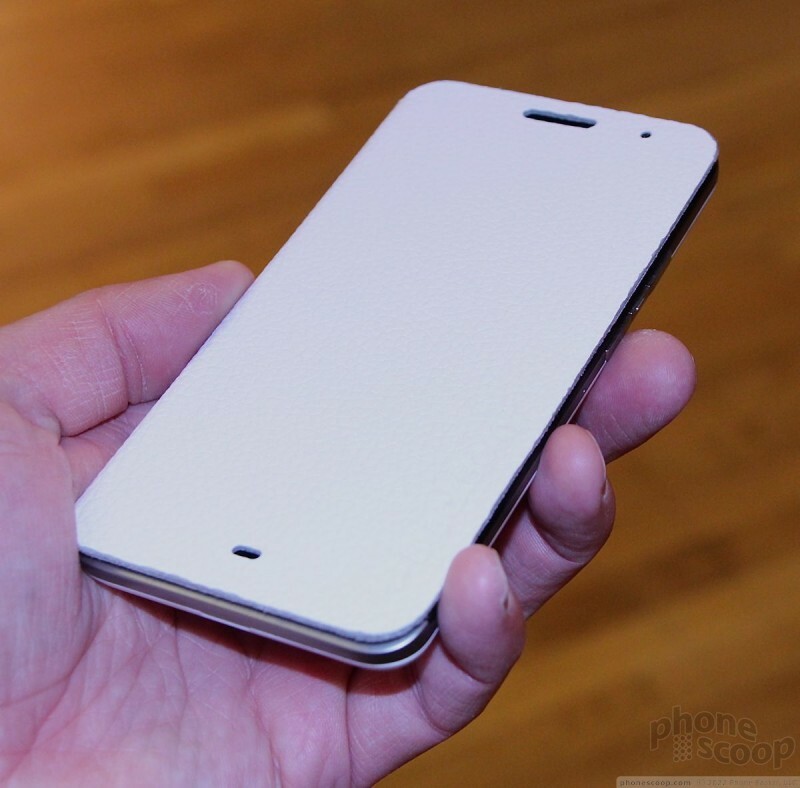 The device, which was just announced this week, has a 5-inch screen, making it a fairly large phone. 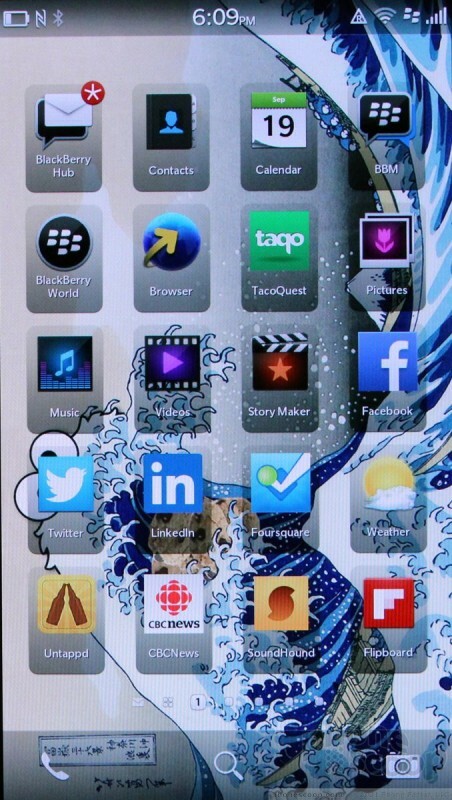 The Z30 clearly carries forward BlackBerry's current design language. 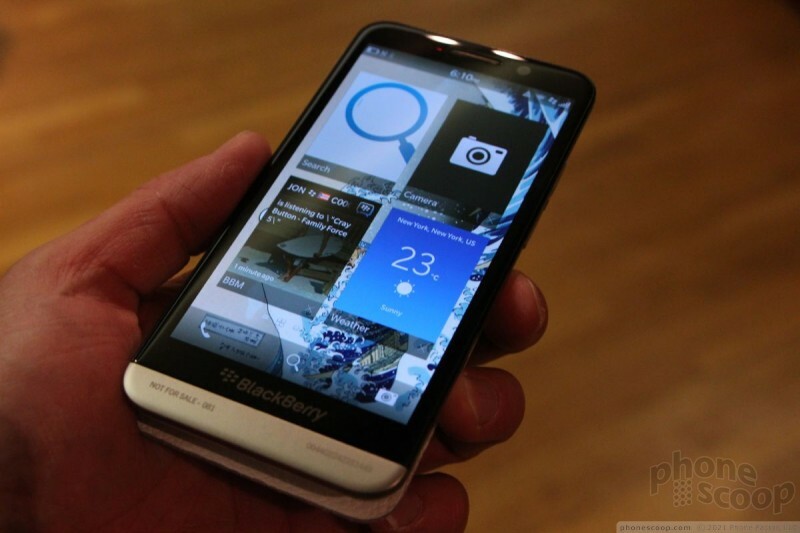 It has a resemblance to both the Z10 and Q10, even if a slight one. 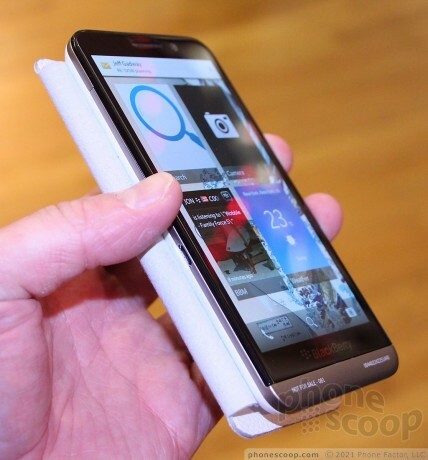 BlackBerry did a good job keeping the size of the bezel down; it's not overly thick at any point. It has a silver-colored rim that circles the front surface. It has a clean look. 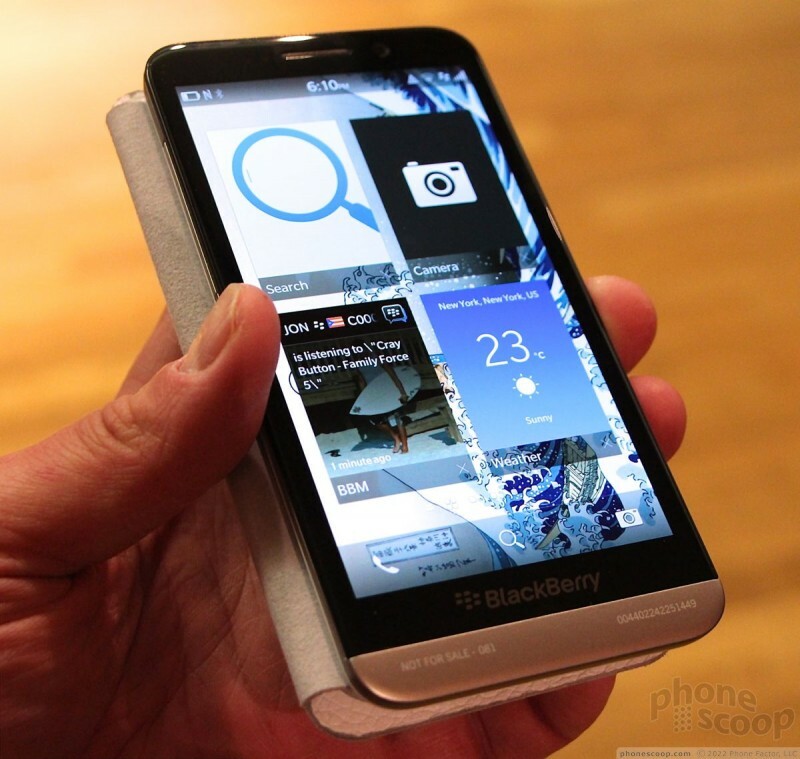 BlackBerry had a white model on hand, which has a black screen, and silver accents. White with black and silver is almost always a classy look. The model on hand had a third-party accessory flip-case attached, so we are not able to speak about the overall quality of the phone. 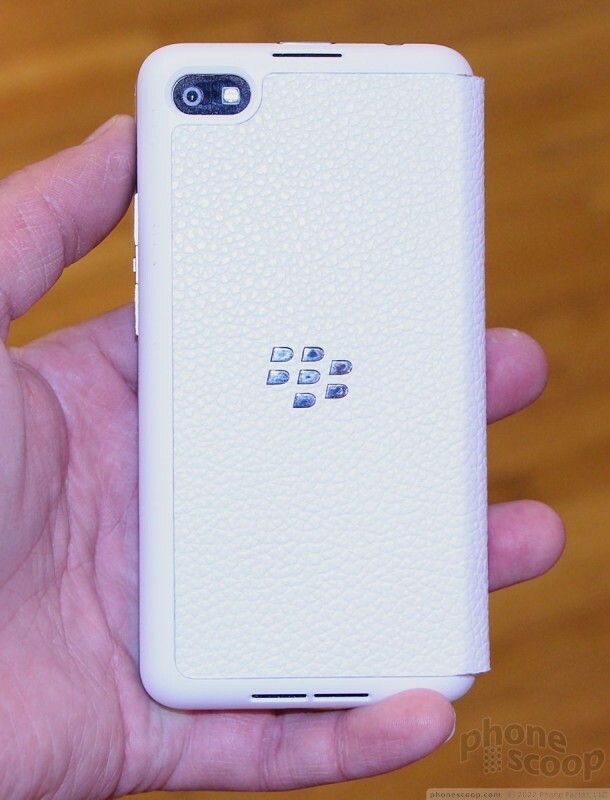 BlackBerry didn't have the stock rear cover available. 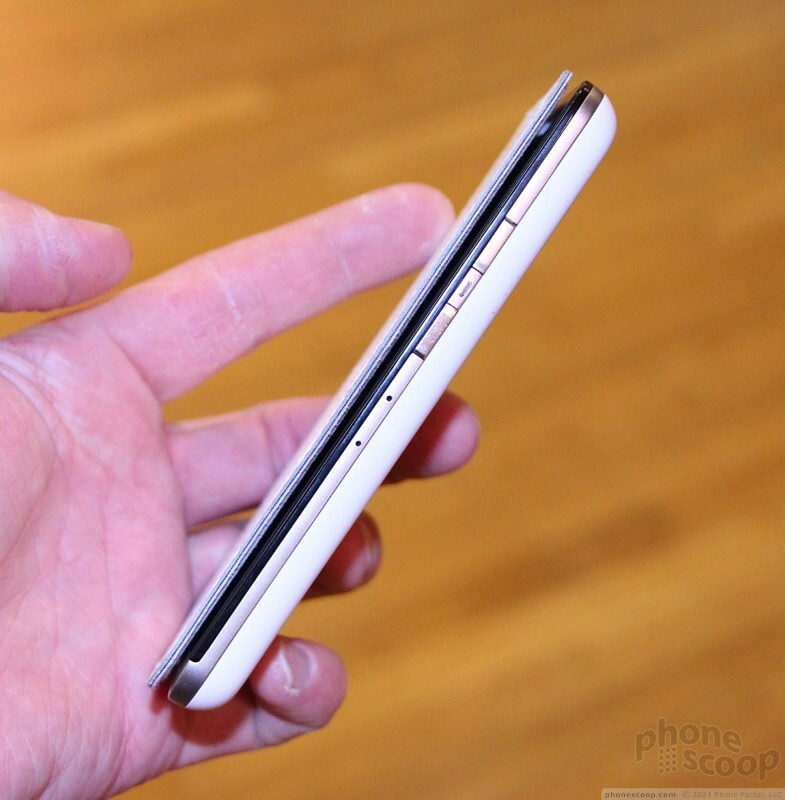 Even with the flip cover attached, we wee able to tell that the device is rather thick. 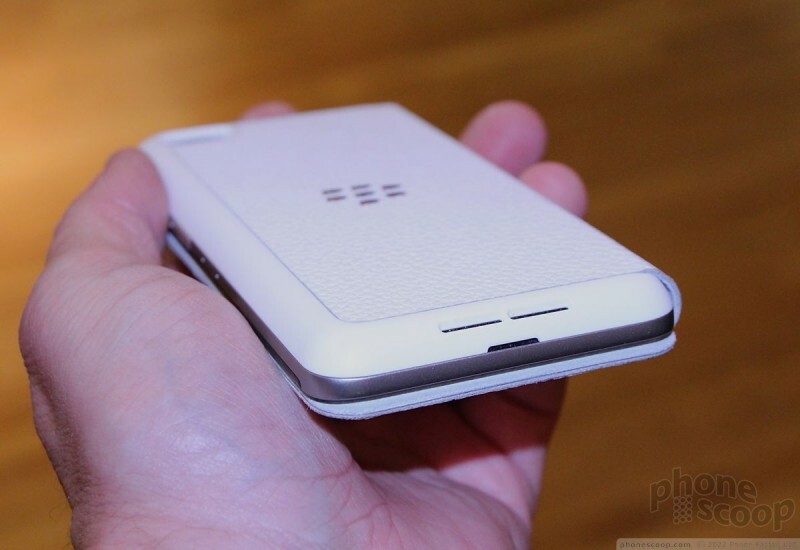 It has gently-curved sides, unlike the more square shape of the Z10. Curving the sides and edges is necessary to help reduce the overall footprint in the hand. Speaking of which, it felt rather light and was comfortable to hold. 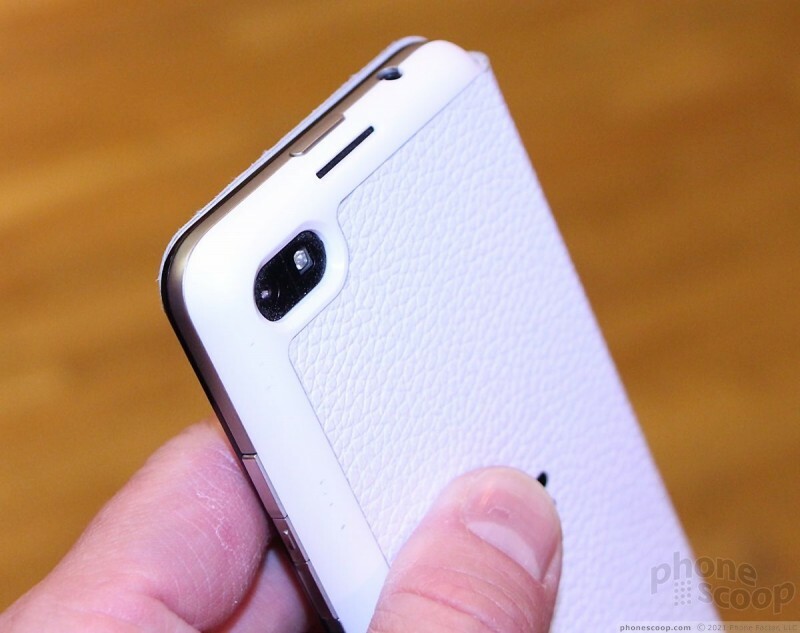 I liked the faux leather texture of the flip case, but that won't be sold with the phone (separate purchase). 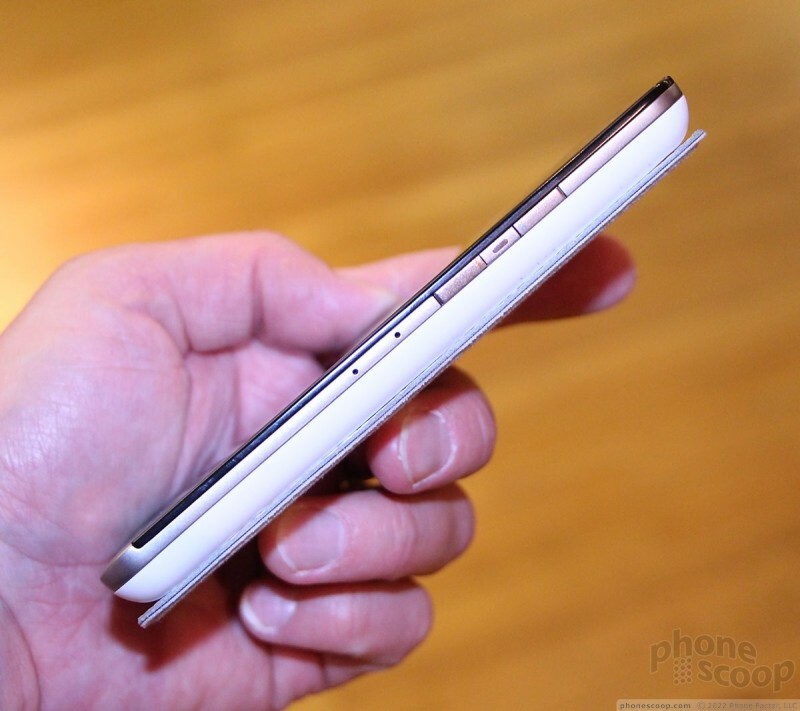 The back cover of the Z30 is removable, but there's no access to the battery. You do, however, have access to the SIM car and microSD card slots when the cover is removed. 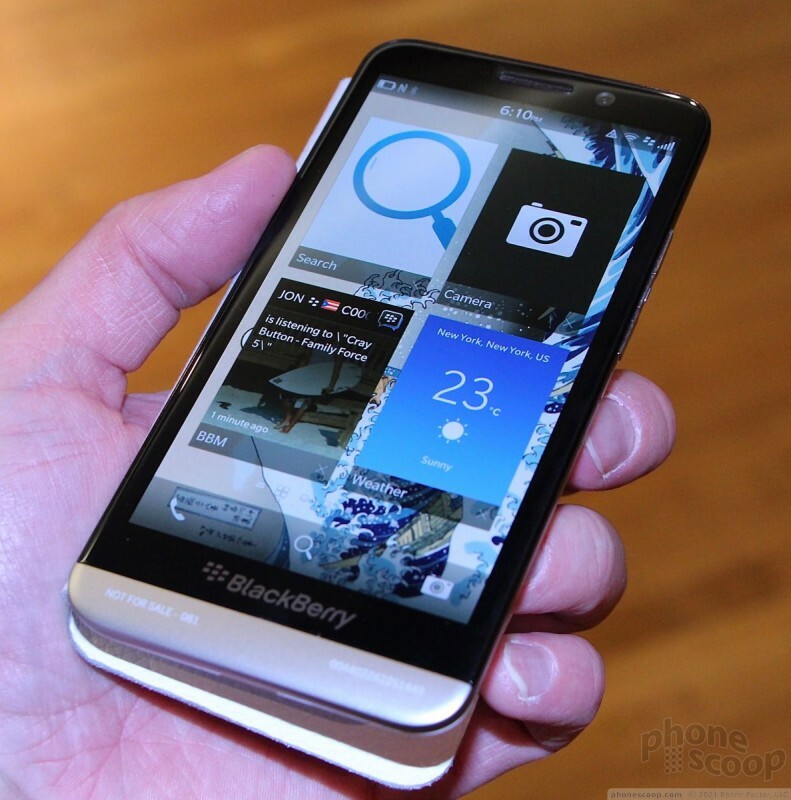 Like the Z10, there are no buttons along the bottom. 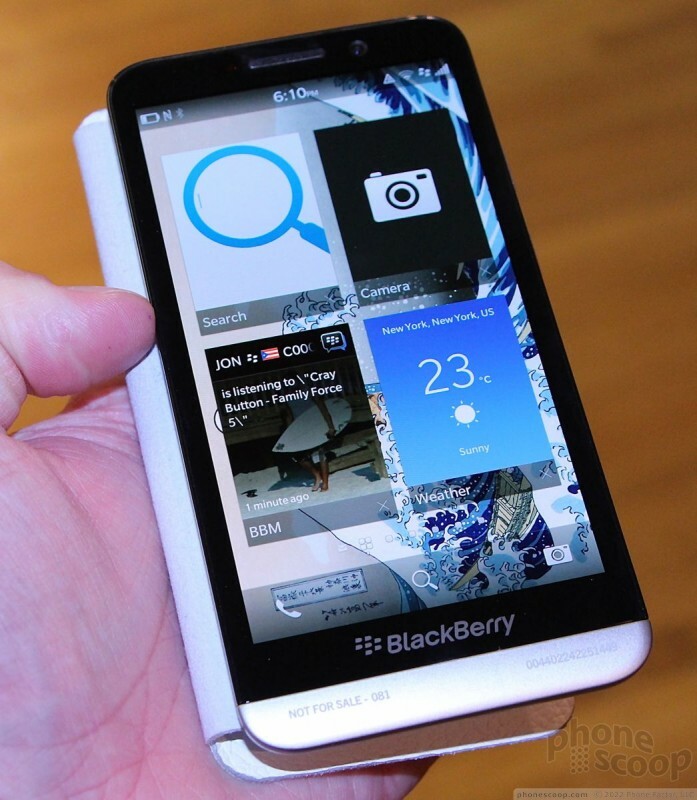 Instead, the Z30 relies on on-screen controls for navigating through the user interface. There are some controls on the edges. As is typical for a BlackBerry, there's a trio of buttons on the right edge, including the volume buttons and a user-definable action key. All three had good travel and feedback. You'll also notice dual microphones on the right edge to help with noise reduction and stereo sound capture. There are no buttons on the left edge. The headphone jack and the microUSB port are on the top. The screen looks really nice, despite the 1280 x 720p resolution. Remember, many of today's leading devices have full HD displays that also measure 5 inches across the diagonal. That's a deficit if you're comparing specs. I thought the screen was bright and sharp, and I didn't notice any annoying pixels in the few moments I spent evaluating it. 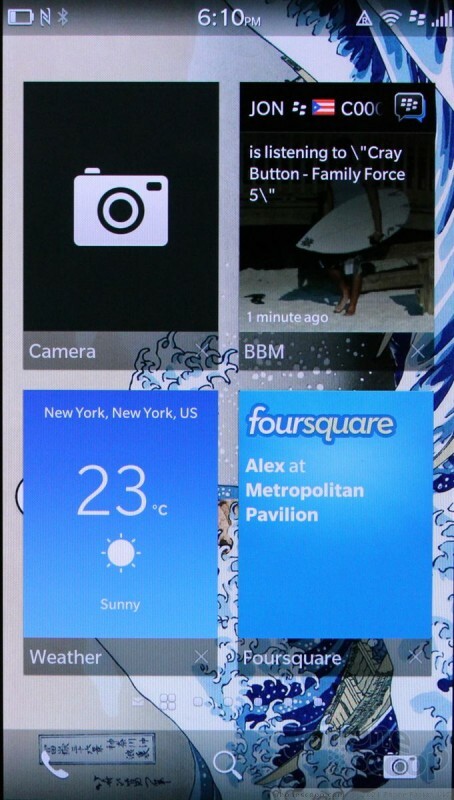 The user interface is of course BlackBerry OS 10.2. 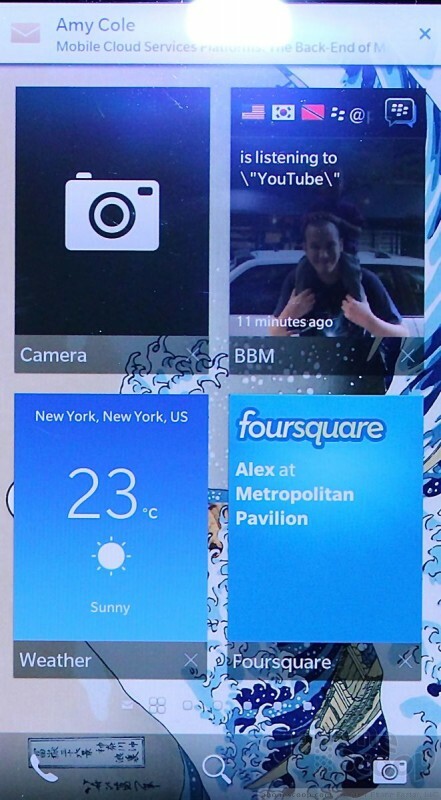 It looks and runs more or less exactly like that on the Z10 and Q10. It appeared to function without trouble and I didn't see any problems with the operating system. Though we had only a brief time with the Z30, it is easy to say that the phone could be a hit with those who like large-screened devices. It will reach Verizon stores in the coming weeks. There's no word yet from other carriers if they'll offer it. 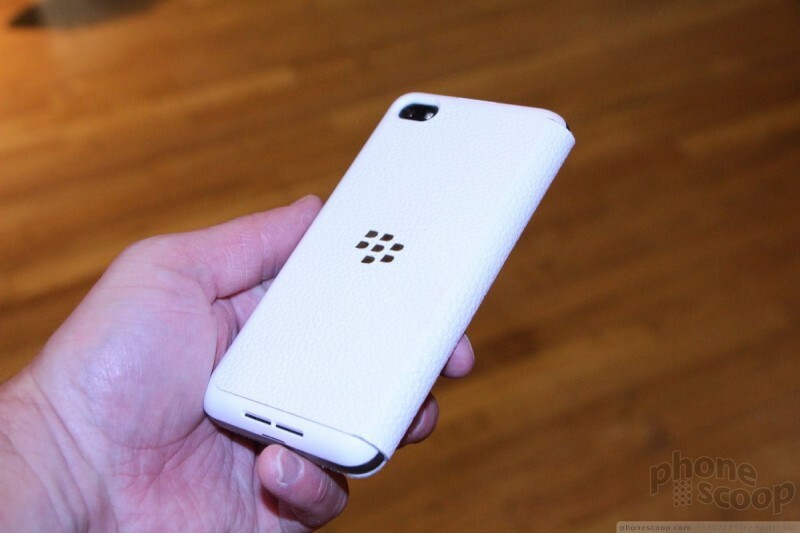 BlackBerry wades into the big-phone fray with the Z30. The Z30 has a huge screen, a fast processor, and plenty of smarts, but it lags competitors in several key areas. BlackBerry today announced the Z30, a new smartphone running BlackBerry OS 10.2 that has a 5.0-inch Super AMOLED 720p HD display and a dual-core 1.7GHz Qualcomm Snapdragon S4 Pro processor with quad-core Adreno graphics. The Z30 features stereo speakers and BlackBerry Natural Sound, which the company says improves the quality of BBM Voice and BBM Video chats. 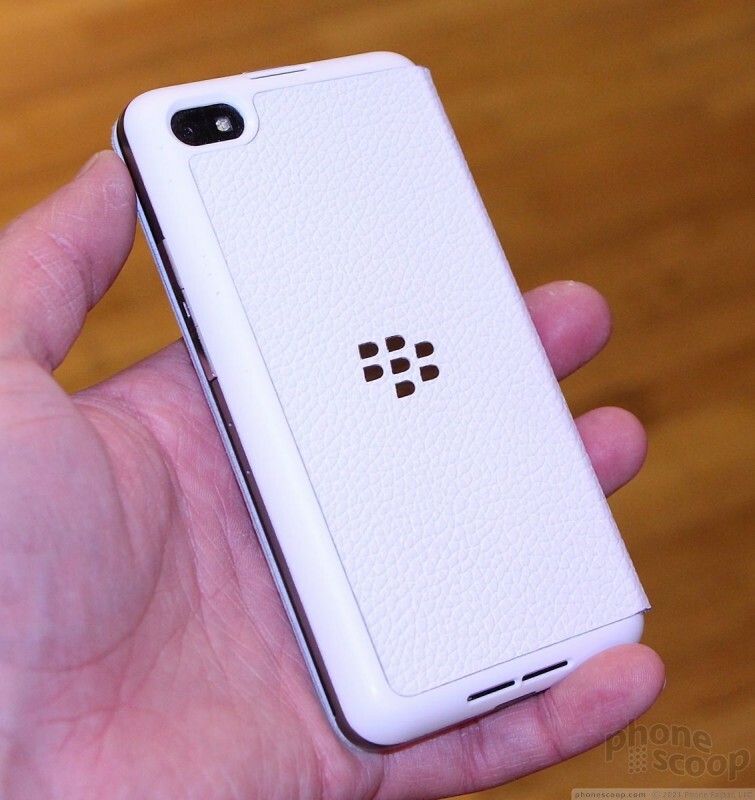 BlackBerry today said BlackBerry OS 10.3.1 is available for device owners to download. The latest version of BlackBerry's operating system includes the Amazon Appstore for Android apps and brings back keyboard shortcuts to devices with physical keyboards. Verizon Wireless recently indicated that the BlackBerry 10.2.1 operating system is now available to the Z30, Z10, and Q10 smartphones. The update adds a wide number of new features, and makes significant changes to the behavior of several key apps. 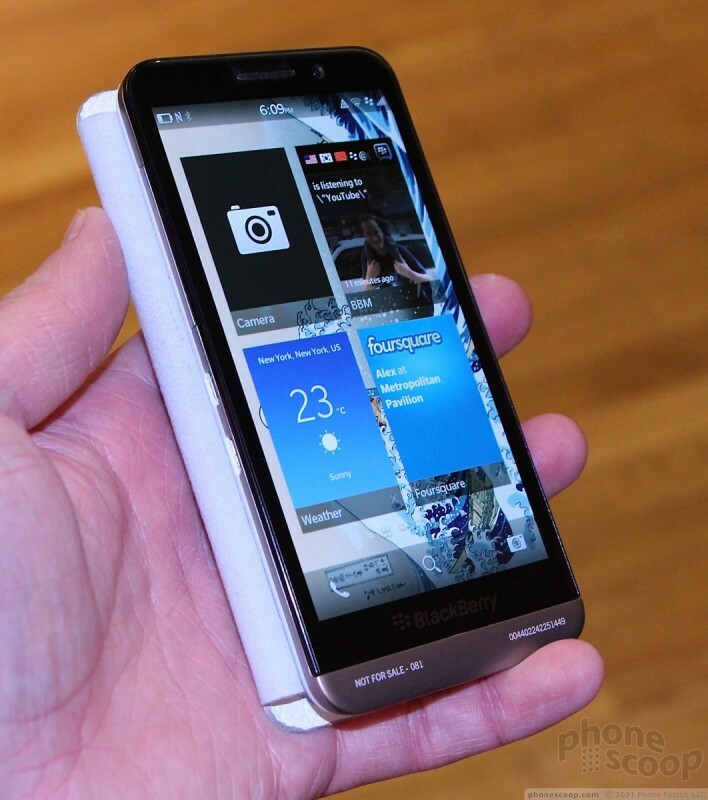 Verizon Wireless today indicated that the BlackBerry Z30 smartphone will be available online beginning November 14. It costs $199.99 with a new two-year contract, or $22.91 per month for 24 months with Verizon Edge. "You'll also notice dual speakers on the right edge to help with noise reduction and stereo sound capture. There are no buttons on the left edge. The headphone jack is on top and the microUSB port is on the bottom"
dual speakers on the right? I think you have the wrong phone on your hands! microUSB port on the bottom? again, I think you have the wrong phone! Speakers = microphones. The two little holes. Sorry, just a brain fart in my part.